This week families will be creating a Tiffany based studio activity. We invite you to explore our Tiffany collection and then venture to the studio to participate in an art activity connected to the Tiffany lamps. 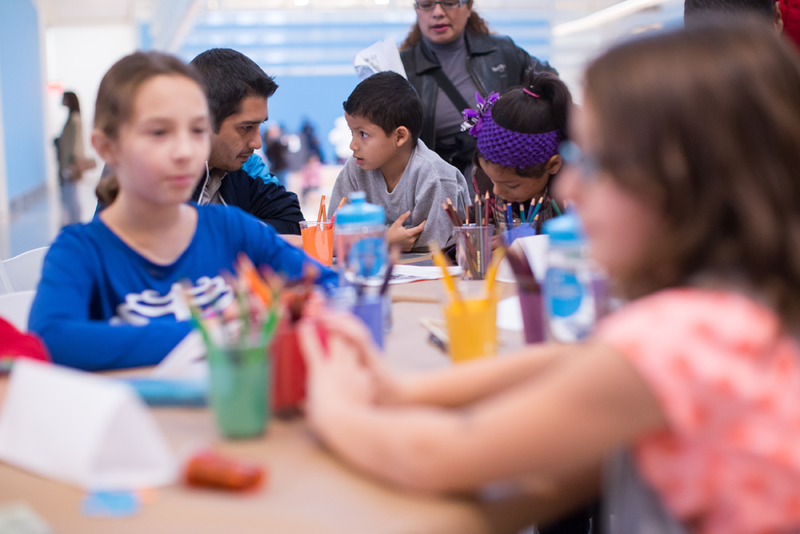 The Queens Museum offers weekly Drop-in Family Art Workshops on Sundays from 1:30 pm-4:30 pm that are free with museum admission. No advance registration is necessary. These educational workshops invite children ages 5-12 and their adult companions to take part in a shared learning experience that take visitors into our galleries and art studios. Please ask at the front desk for workshop location.